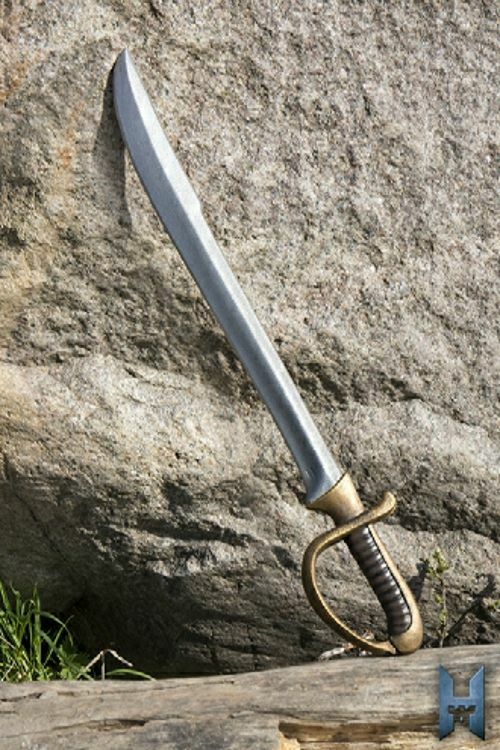 Cavalier Sword is a medium sword inspired by the cavaliers of the 1600s, imitating their reckless attitudes and rich sense of style. 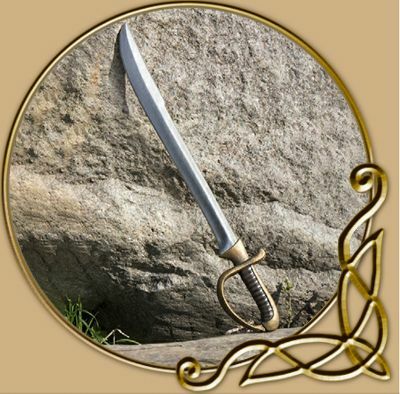 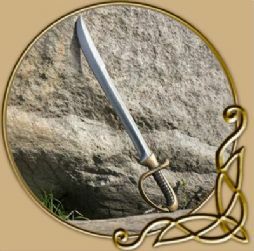 The sword is 76 cm long and has a 51 cm single-edged blade that gets wider toward the end. 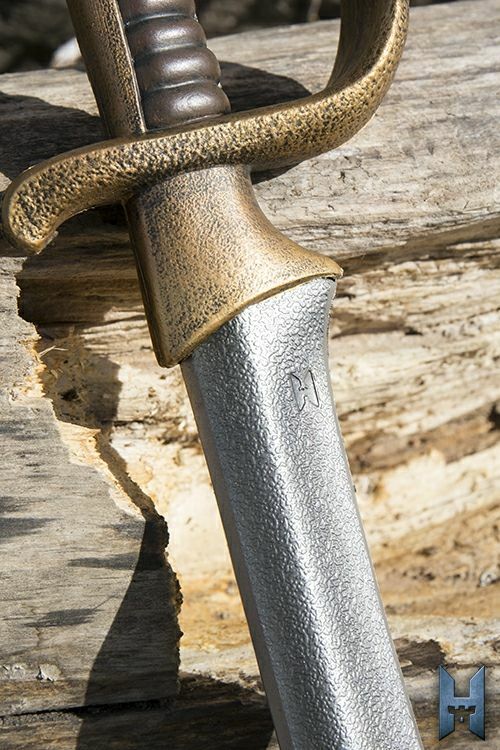 The handle has impressive detail, including a crossguard that curves around the hand, connecting to the pommel. 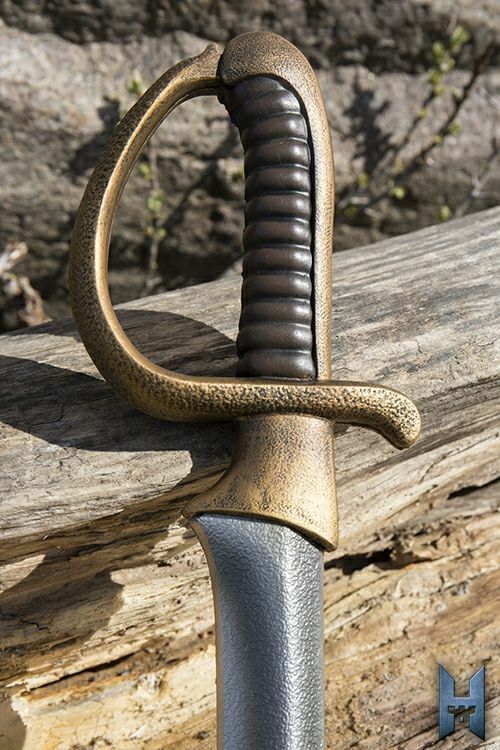 The handle is handpainted to looks like faded bronze. 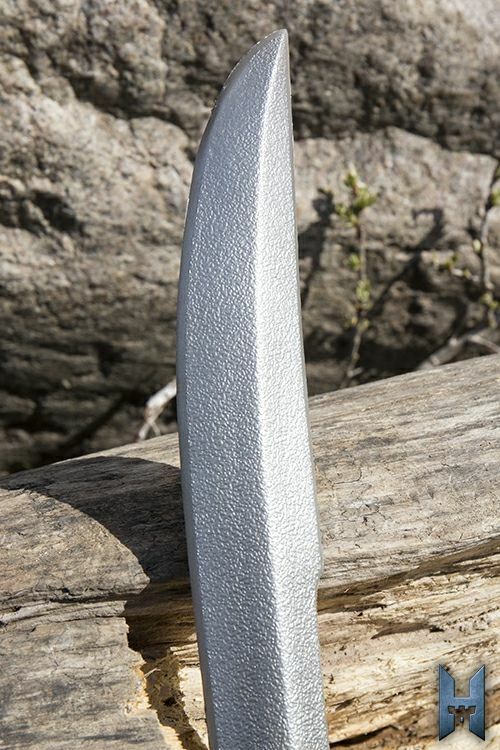 The 14 cm grip is cast and painted to look like ribbed leather, ergonomically shaped to fit the hand.